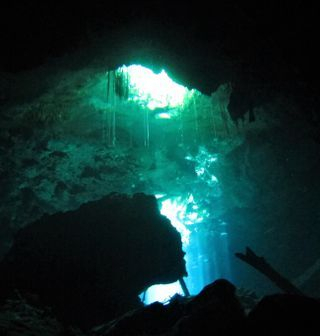 One of the best cavern dives in a very quiet place. 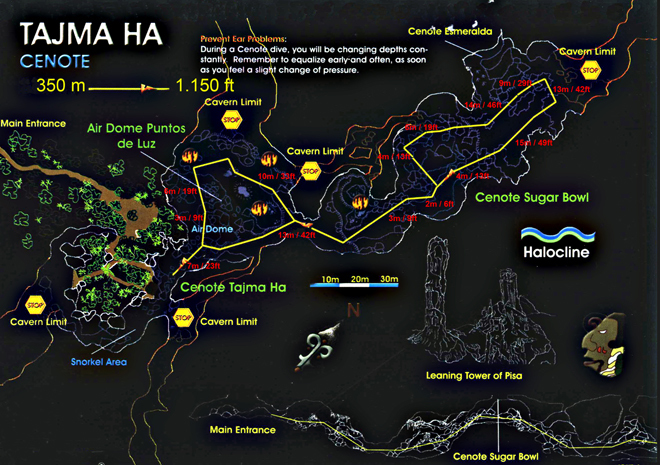 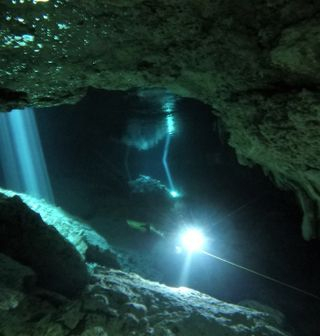 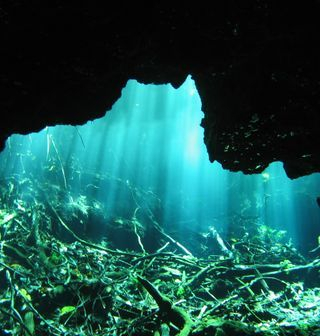 This cavern offers the diver all of the main features of this kind of diving: sharp halocline, light effects (thin beams like lasers during summer time, refraction, reflection…), beautiful fossils, typical limestone halls, colapses, tannic acid, speleotherms… four cenotes in one dive. 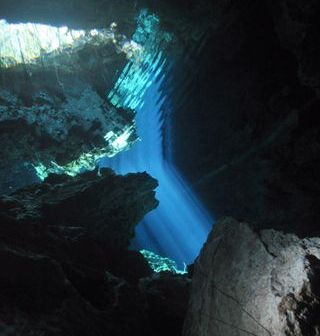 The up and down profile is a little bit aggressive for novice divers and people with sensitive ears.